Abe Lincoln, what a guy! 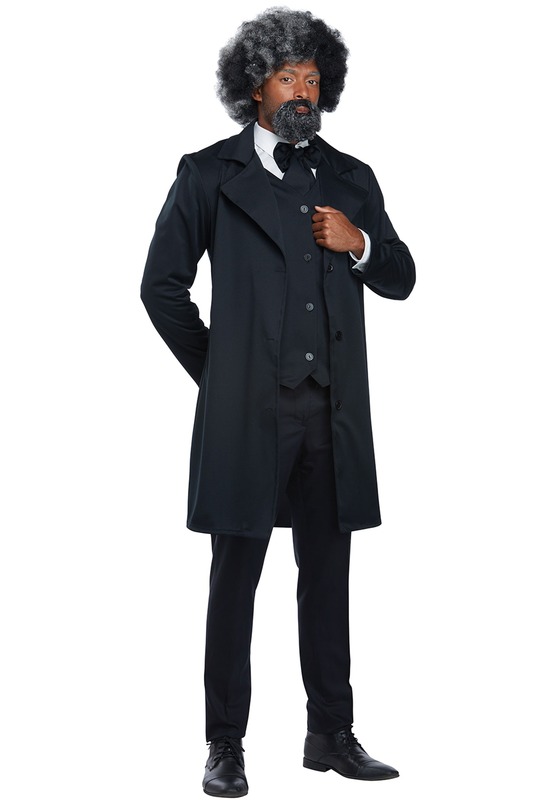 He was a successful leader and popular president because he could relate and appeal to the "common folk" so when this Abraham Lincoln men's costume came into the office, we felt compelled to transform into the 16th President of the United States. Known for being an incredibly honest man, the premise of the movie Liar Liar automatically popped into our heads. What if we put on this costume and then suddenly had no self-control and blurted out every thought we had? (Now, that could land us in some hot water.) Also, Abe Lincoln was 6 ft 4 in tall which is intimidatingly tall so that factor was a little daunting too. If you're anything like us and have these same concerns, we can squash those worries right now. We finally worked up the nerve to try on the Abe Lincoln costume and we didn't feel the need to disclose every thought, thank goodness. Also, the costume looked great on us despite our short stature! 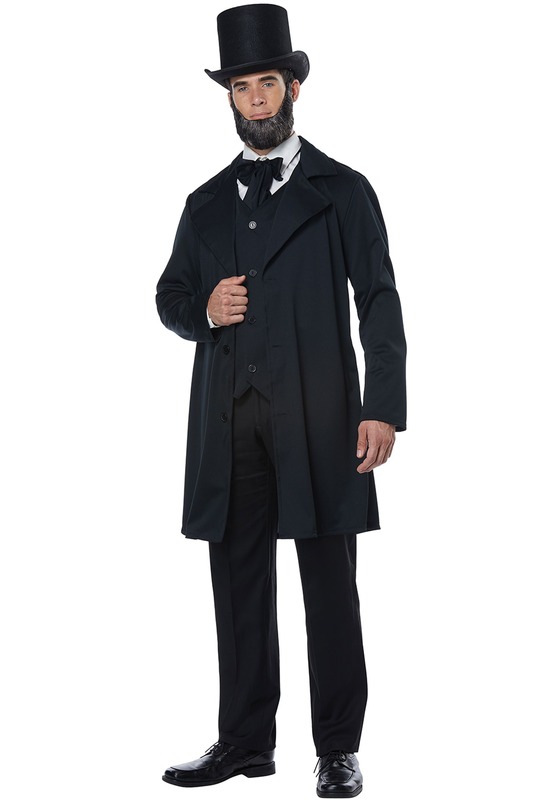 The historical costume comes with a long black button down coat with a large collar. The black vest is worn underneath the jacket and also features matching black buttons for a refined look. The included black tie attaches around the neck via a simple Velcro tab. You'll also receive a collapsible top hat to complete the presidential look. 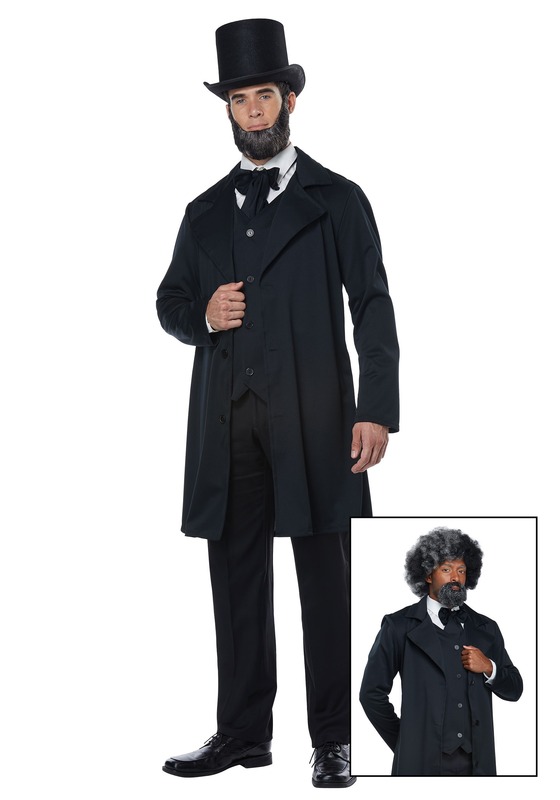 Please note, this costume doesn't come with the beard, white collared shirt, or pants. Truth be told, this a great historical costume that can be used for a play performance. Wear it to celebrate President's Day! Complete the look by picking up a beard accessory and a pair of black dress shoes. Memorizing the Gettysburg Address wouldn't hurt either!